Poppy seeds are the ripe seeds harvested from the capsules of Papaver somniferum L. (opium poppy, family: Papaveraceae). 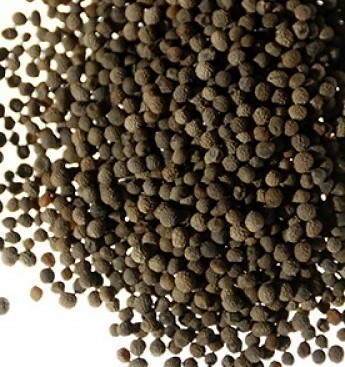 Poppy seeds, also known as khuskhus gives a nutty, sweet, spicy, and pleasant flavour to any dish. Poppy seeds are nutritious oilseeds which are used as a condiment in cooking. The seeds have a natural supply of alkaloids which is extremely beneficial for treating nervous disorders also make a perfect remedy for curing insomnia as well as breast cancer, heart attack and other heart diseases. Poppy seeds significantly reduce the risk of heart attack and other heart diseases because it contains linoleic acid in adequate amount.